Description: Use the mouse to select elements, individually or in a group. 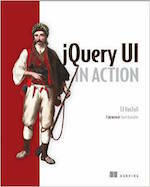 The jQuery UI Selectable plugin allows for elements to be selected by dragging a box (sometimes called a lasso) with the mouse over the elements. Elements can also be selected via click or drag while holding the ctrl/meta key, allowing for multiple (non-contiguous) selections. ui-selectee: One of the selectable elements, as specified through the filter option. This element can also receive one of the following classes: ui-selecting (when the lasso includes this element), ui-selected (after a successful selection), ui-unselecting (when the lasso lost this element). ui-selectable-helper: The "lasso" element used to visualize the ongoing selection. Which element the selection helper (the lasso) should be appended to. This determines whether to refresh (recalculate) the position and size of each selectee at the beginning of each select operation. If you have many items, you may want to set this to false and call the refresh() method manually. Prevents selecting if you start on elements matching the selector. Disables the selectable if set to true. The matching child elements will be made selectees (able to be selected). "fit": Lasso overlaps the item entirely. "touch": Lasso overlaps the item by any amount. Removes the selectable functionality completely. This will return the element back to its pre-init state. Retrieves the selectable&apos;s instance object. If the element does not have an associated instance, undefined is returned. Unlike other widget methods, instance() is safe to call on any element after the selectable plugin has loaded. Gets an object containing key/value pairs representing the current selectable options hash. Sets the value of the selectable option associated with the specified optionName. Sets one or more options for the selectable. Refresh the position and size of each selectee element. This method can be used to manually recalculate the position and size of each selectee when the autoRefresh option is set to false. 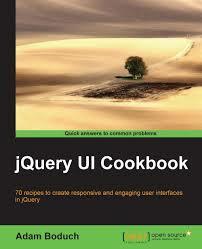 Returns a jQuery object containing the selectable element. Triggered when the selectable is created. Triggered at the end of the select operation, on each element added to the selection. The selectable item that has been selected. Triggered during the select operation, on each element added to the selection. The current selectable item being selected. Triggered at the beginning of the select operation. Triggered at the end of the select operation. Triggered at the end of the select operation, on each element removed from the selection. The selectable item that has been unselected. Triggered during the select operation, on each element removed from the selection. The current selectable item being unselected. A simple jQuery UI Selectable.